Many schools in the metro Detroit area were closed on Tuesday and Wednesday due to bitter cold temperatures. Our school, however, remained open, which I would normally be one of the teachers complaining about being in school while everyone else was still snuggled warm under their covers, but since I had scheduled author Skype visits for both Tuesday and Wednesday, I was actually happy to be getting up to go to school. 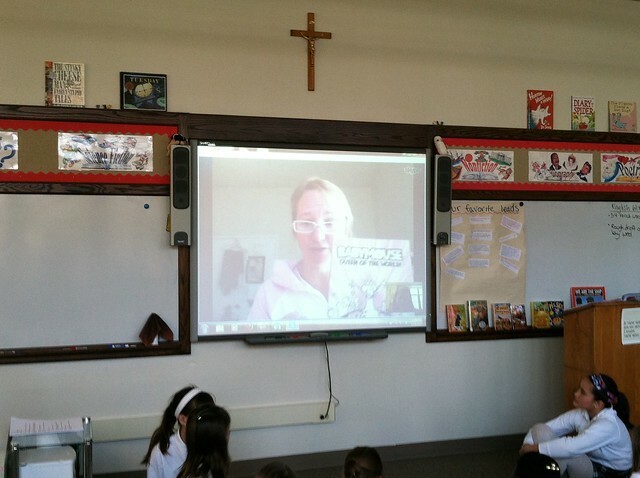 On Tuesday we Skyped with the illustrious Jennifer Holm, winner of three, count 'em, THREE Newbery honors, and co-creator of the Babymouse and Squish graphic novel series with her brother Matthew Holm. We finished her Newbery honor book Turtle in Paradise as our read aloud right before Christmas break and so my kids had tons of questions for her about that book as well as everyone's favorite graphic novels, Babymouse and Squish. 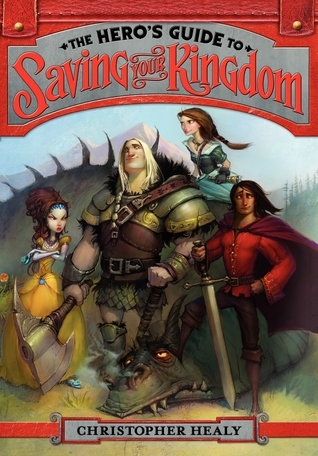 Then on Wednesday we Skyped with Christopher Healy, author of the insanely funny The Hero's Guide to Saving Your Kingdom, a book that absolutely needs to be made into an animated movie sooner rather than later. 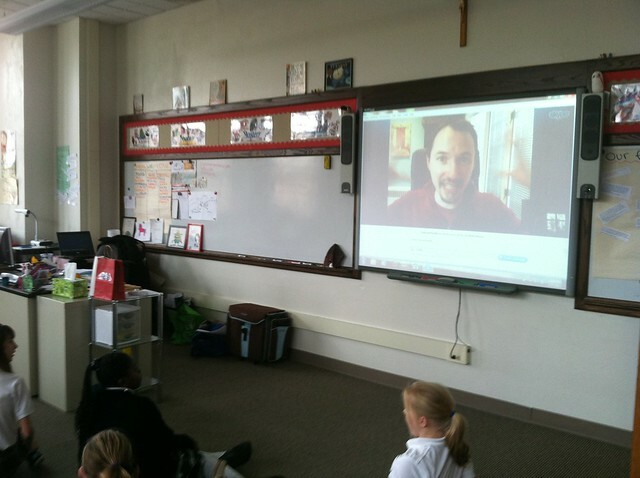 Both authors were incredibly wonderful and gracious with my students and the kids were excited to ask their questions. And given the number of students who were reading both authors' books in the days leading up to our visits, it is proof positive of what Donalyn Miller says that "Kids read what we bless." If anyone ever asks me why social networking should be part of a teacher's professional development, experiencing two days in a row of allowing my students to ask actual published (and let's not forget award-winning) authors questions will be one of the first examples I share with them. 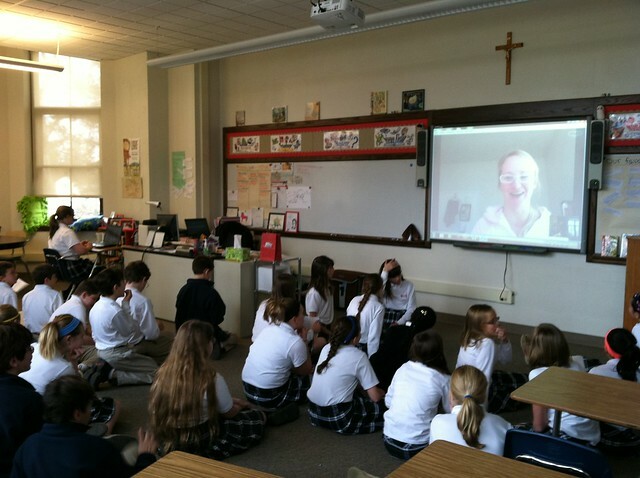 Developing relationships with authors and bringing them into classrooms on a regular basis is something you just couldn't do before social media tools like Twitter, Facebook, and Skype became so mainstream. When I started teaching almost seven years ago, I don't think I could have ever imagined how quickly the walls of the classroom would morph and change. Now the "social" aspect of social media has crossed over into the professional world and it's amazing to see what a positive impact these tools can have on our classrooms when we use them to extend those walls out into the world. For all you teachers who haven't signed on to Twitter yet, please do yourself a favor and start today! You will be amazed at what it will do for the good of your classroom and your professional life. 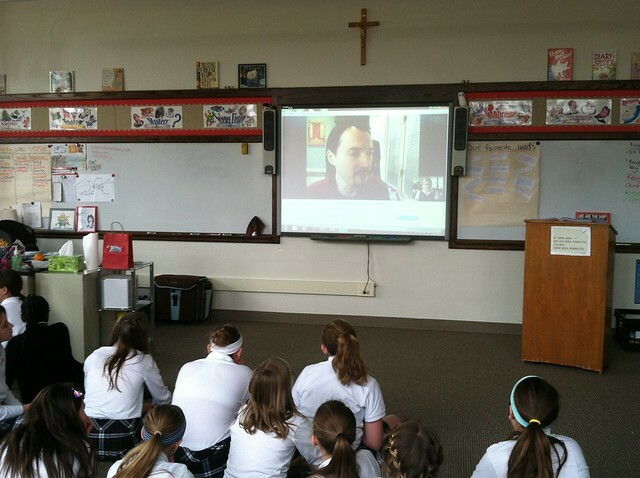 Thanks again to Jennifer Holm and Christopher Healy for extending your talent and knowledge to my students!